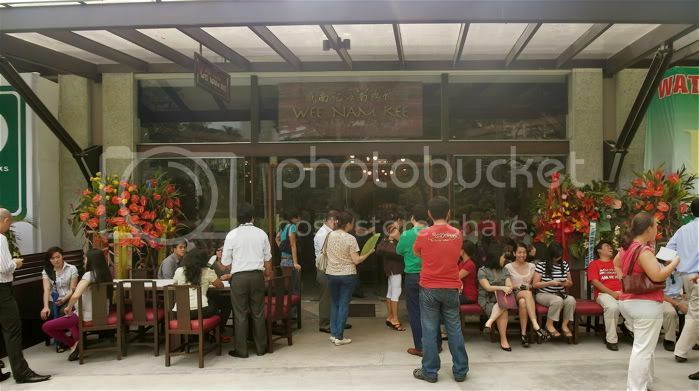 the blogosphere is abuzz over the latest sensation to hit philippine shores: singapore-grown wee nam kee has just opened its flagship restaurant at the ayala triangle gardens, serving its famous hainanese chicken to very curious and hungry makati folk. the reception this last week has been warm considering the only advertising it has received is from blushing online reviews: you'd be lucky to quickly get a table when you drop by for lunch, and the spill of waiting customers has made many poseur runners groan at dinnertime. i've personally been there twice, and i suppose much can still be forgiven considering they're only on their soft opening. i have not tried wee nam kee prior to its arrival in the philippines, but i have heard of it before in my many visits to the tiny island. 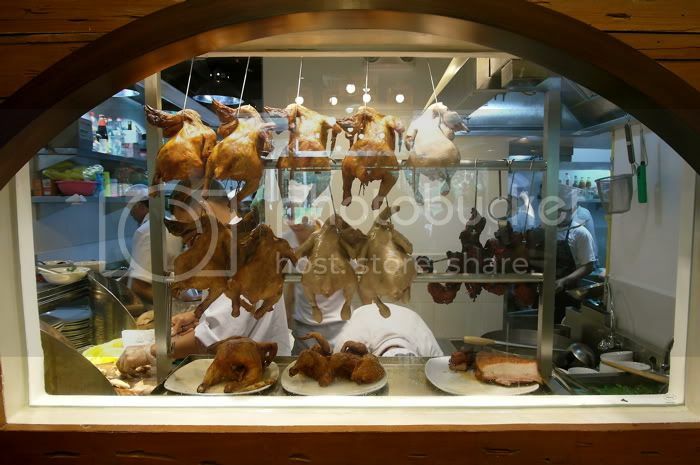 it supposedly served the best hainanese chicken rice in the city-state. but i wasn't about to go ride the MRT just to eat chicken, so i never got to visit the place. 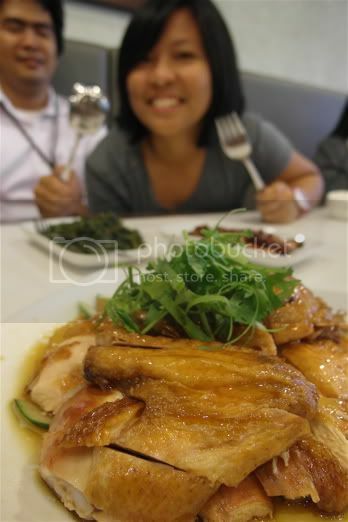 besides, my standards are pretty low, and to be honest, most of the hainanese chicken meals i had in obscure hawker centers that get neither online fame nor broadsheet praise anywhere in singapore hardly disappointed. so wee nam kee, and its reputation as serving the best hainanese chicken rice in a country where the hainanese chicken rice is pretty good all-around, promised to be a delightful treat, worthy of a 10-minute trek from the RCBC plaza in my office shoes. so was it worth it? let me put it this way: the service is only a few steps from disaster. and the steamed chicken was a shocker. i will not take down that tweet from last wednesday when i asked for the steamed chicken rice and it was an absolute let-down. not all hainanese chicken rice is served the same way, but this one was a complete surprise in the degree of dissatisfaction that it gave me. the rice was cold. the chicken, even colder. it was as if they had been left on their plates inside an airconditioned room. yes, the meat was tender and tasty, but the odd sensation of cold chicken in my mouth almost suggested it was wanting of a trip to the microwave. and the barley juice was, well, something that should take getting used to. but i didn't give up on wee nam kee and decided to give it another chance. perhaps, i thought, two days of soft opening was insufficient to pass judgment on its food and the quality of its service. apparently, it gets worse. but the good thing is, only in the latter aspect. i wanted to taste their other dishes so i rounded up some of my friends to have lunch at the small space allocated to it in the revivified ayala triangle gardens. it was a hot monday, and i called up to ask if i could reserve a table for 5 persons. they said they didn't accept reservations anymore, and they asked that i just come early. so i did. at a quarter to 12, i was already at wee nam kee's door, and had already informed them that i needed a table for a party of 5. i was third on the list. in a few minutes, people started to crowd outside the small restaurant. a few people i personally knew arrived, and i quickly found out it was possible to in fact get reservations. you just had to have the right connections. is this plate worth the wait? at 15 past 12, i quickly noticed that they were ticking off people who came after me. apparently, they couldn't find a table for 5, so they just allowed parties of 3 to get in. they kept suggesting if we wanted to just eat outside. but it must have been 30 degrees out there. we're not necessarily fussy, but i politely asked: do you have a fan? they didn't. soft opening. i get it. 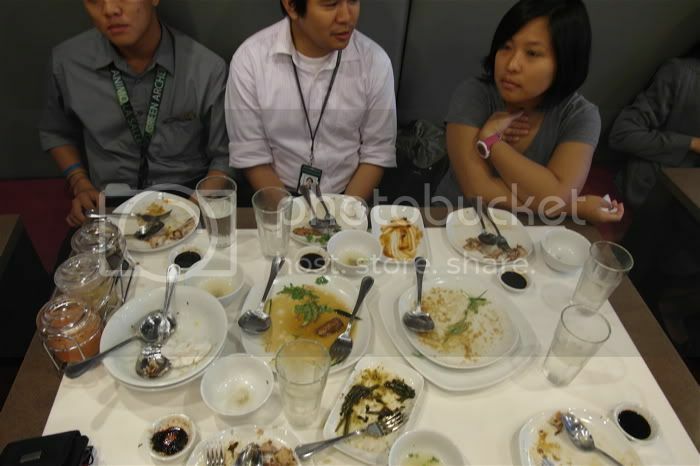 then, they suggested that we eat separately: like 3 of us at one table, and another 2 at another table. brilliant. a party of 6 who had arrived ahead of me stormed out and had frozen yoghurt instead at golden spoon to cool down. finally, at 12:37, we got our seats. 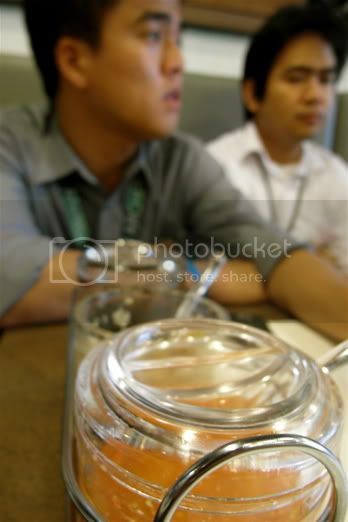 we had already placed our orders while waiting outside, and when we were seated, the waitress confirmed our orders. i was informed they'd run out of the cereal prawns. which was fine since it cost nearly P100 for a single prawn that had rolled around in cereal. we had roasted chicken, sambal kangkong, roasted pork (lechon kawali), steamed garlic fish, the wee nam kee rice, and salted seafood rice. and water. just water. after confirming our orders, the table next to ours gets occupied, and they ordered shortly after. they were served ahead of us. 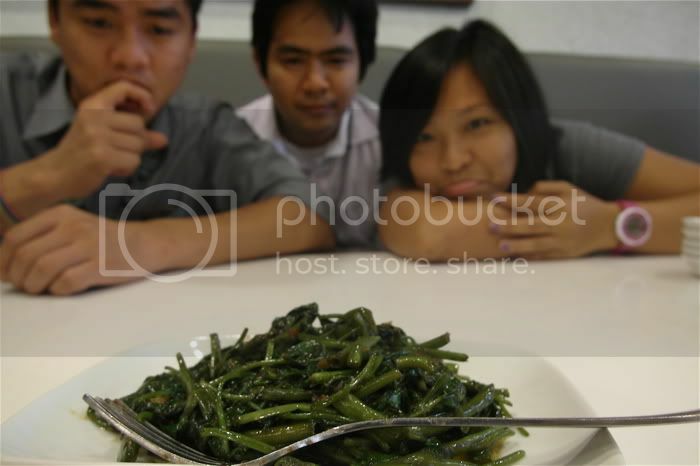 the sambal kangkong was the first to be served. we asked for water. 5 minutes later, the plate of greens in dark sauce was still lonely, so we remind our order-taker about our food. it was already nearly 1pm, and my friends had to return to their offices, and we hadn't started eating yet. a second reminder had been given the servers, and finally, the roasted chicken, the two bowls of rice, the BBQ pork (asado) arrived. huuu-wait. we ordered the lechon kawali. by this time, we were just so hungry that after yob made dipping sauces for each of us, we just wolfed down whatever was served. the roasted chicken was divine. it was really good. we all ate without talking. and the dipping sauce, regardless of how you mix it, was superb: thick soy sauce, grated ginger, and chili sauce. absolutely delightful. even the sambal kangkong was oddly great. crunchy stalks and tasty leaves that went down well. the asado? i hardly noticed it. the rice? nothing much. i couldn't even tell we ordered two different bowls. somewhere during lunch the water arrived after nelle nearly choked. we were imbibing soup to help smooth down the food. 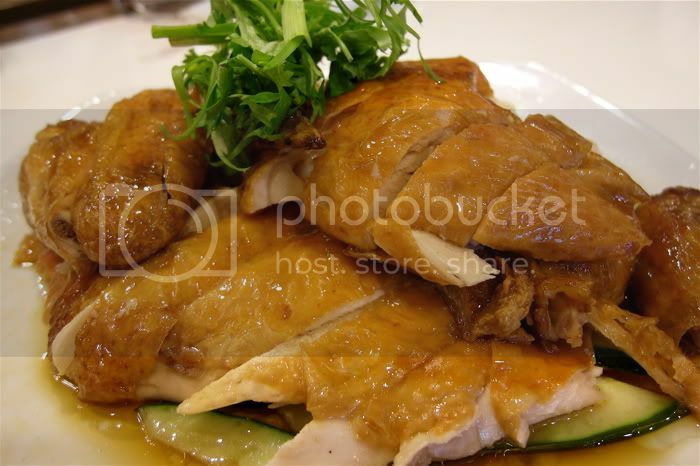 and just as we were cleaning up the slices of cucumber that sat under the slices of roasted chicken, and picking up the last morsels of rice, the steamed garlic fish arrived. we hadn't forgotten we ordered it, but i wish they had. it had a bed of tofu underneath, and it was tender to the bite. not enough garlic though, and i'd have hap chan's over this one anytime. overall, i'd recommend the chicken. not the steamed one if that's how it's really served: cold. the sambal kangkong should also be part of every meal. is it worth the long wait? not really: there are other options around the area and this one experience isn't so unique, particularly since they've de-hawkerized wee nam kee, and turned it from a humble, honest, unpretentious, family-run business with umbrellas, plastic chairs, non-uniform plates, servers with no uniforms, unairconditioned streetside affair, into this almost upscale, boutique restaurant with nice interiors in the heart of makati's central business district. 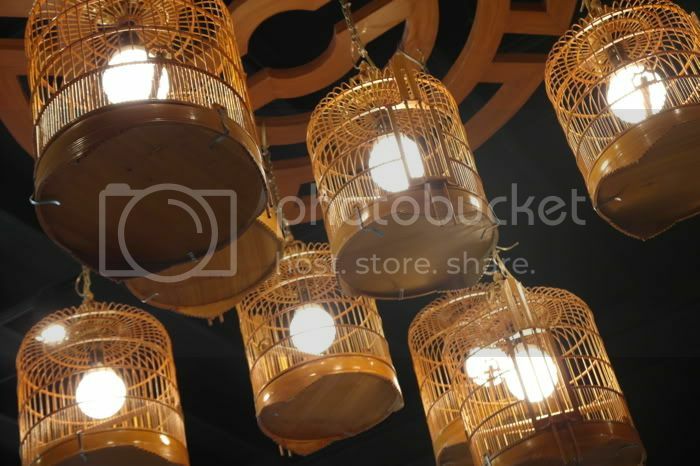 unless you're such a devoted fan of chicken rice, or are so concerned about being in-the-know, you aren't missing out on much, particularly because the service isn't commensurate to the quality of the food. i'd probably go see wee nam kee in novena in two weeks. just so i could compare. but if you must go: be a party of 3. or know someone who can twist their arm into making you reservations. but then again, don't take my word for it. like i said, i have very low standards. Alman, nice to have bumped into you last Monday. 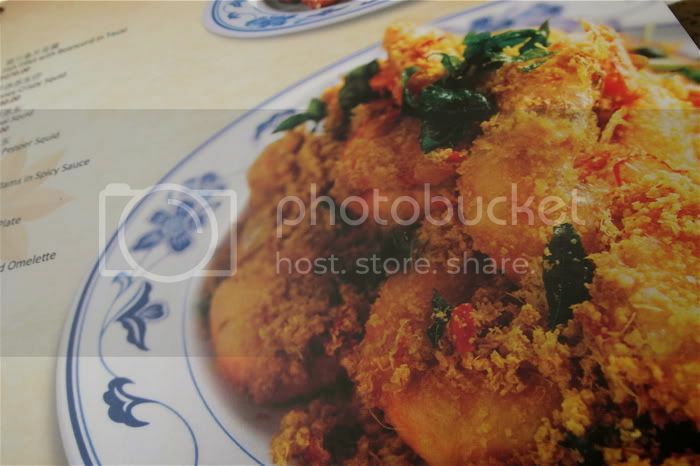 If you're going to Wee Nam Kee@Novena, try their spicy baby squids. 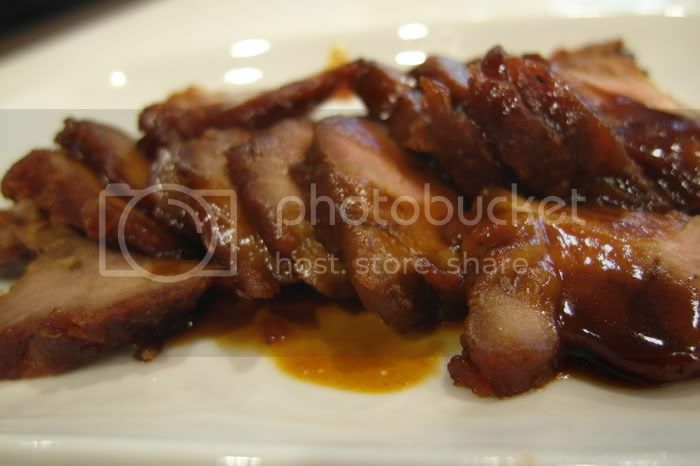 They don't serve this in the Manila branch, which instead offers the Filipinized version -- honey crispy squid. I love cereal prawns, but I suggest you just go to a Fair Price supermarket, buy the SGD2/- cereal prawn mix, and cook it yourself (which is fairly easy).